Recently my motherboard was shorted out by a coffee spill. 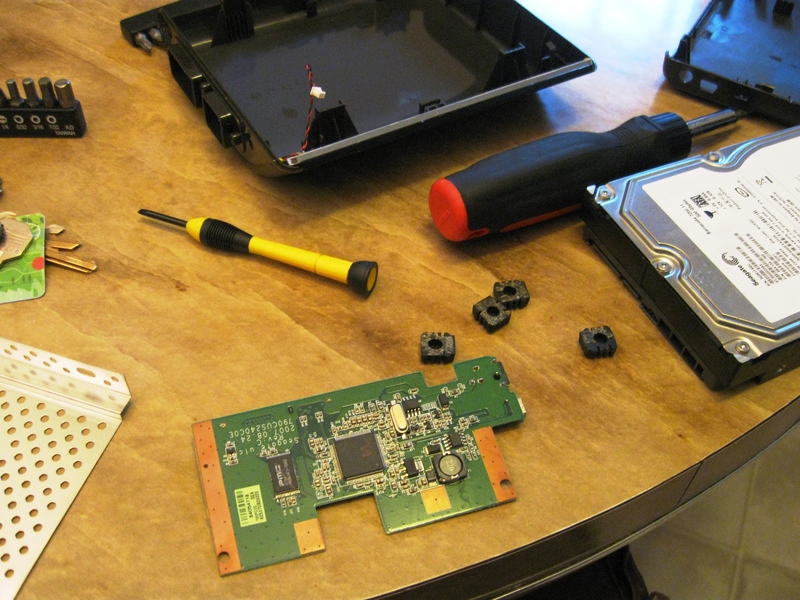 Computer components are cheap, but the data on a hard drive is probably priceless. I was worried that I would have to buy a drive case for my hard drive to get the data off it. 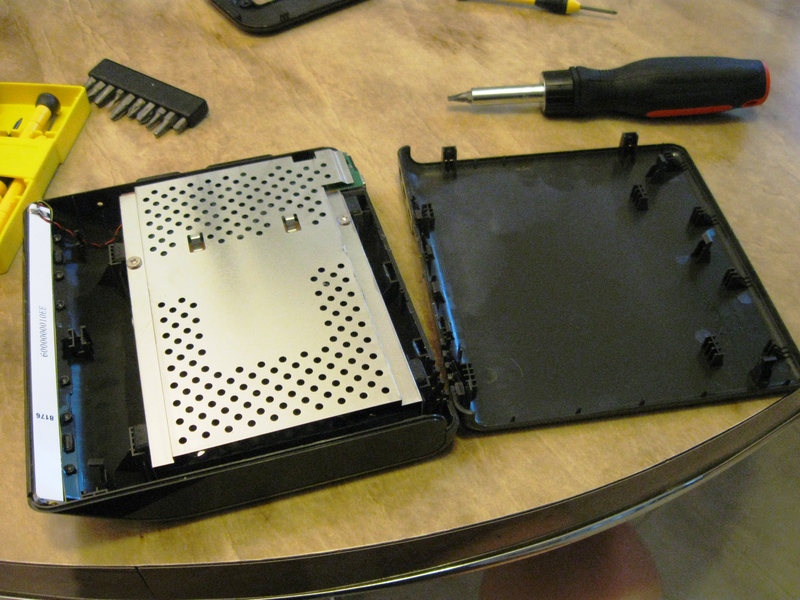 But I found out that I can just tear apart my external, swap the drive out, and it’ll work. 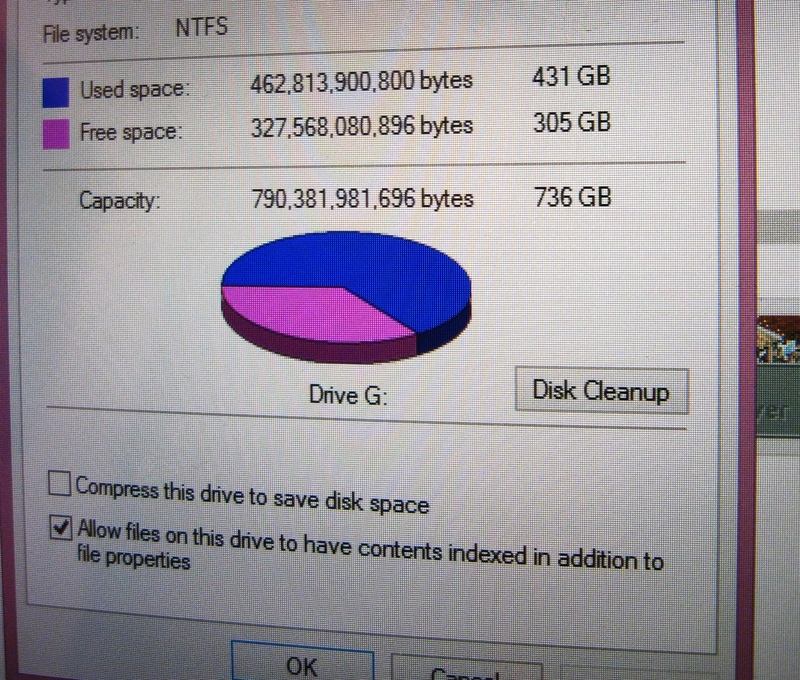 My drive is a 500gb Seagate FreeAgent. I checked online to make sure its connector is a SATA before opening it. See this little green board? That’s the adapter that turns SATA into USB and powers the drive with a tiny connector. 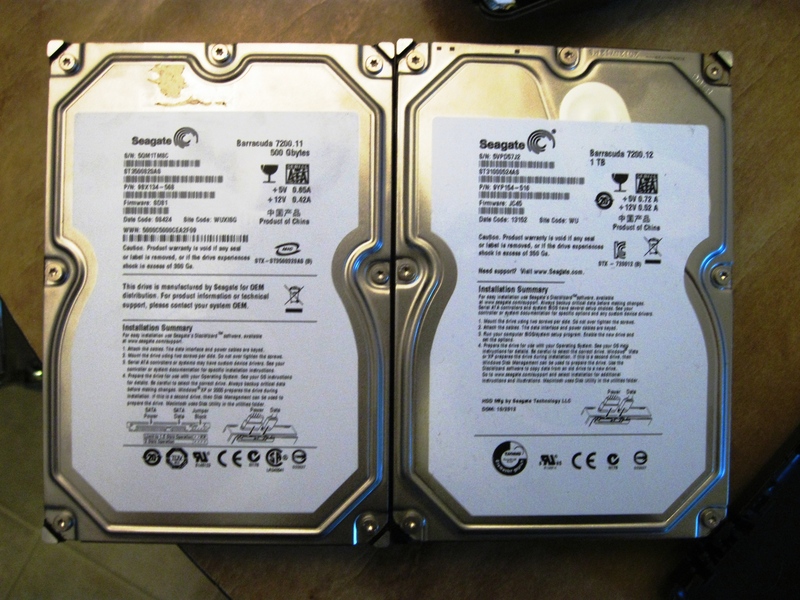 Hard Drives, side by side. 500gb from inside the external and a 1000gb from inside the shorted out computer. The 1000gb is about 5 years newer, but hopefully they’re still compatible! Testing the drive to make sure it’ll work before I put it all together. There she is! Everything works perfectly. Note: it only shows 750gb out of a total 1000gb because i left 250gb open in case I wanted to dual boot this drive with another OS in the future. 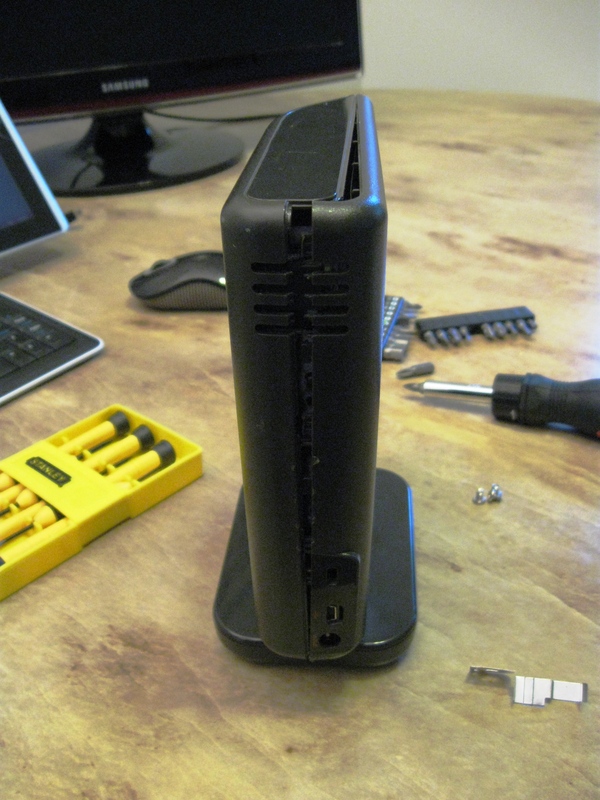 First attempt at putting the drive back together. Ugly but still functional.